Well, here I am back again. School holidays have just begun, thank goodness! Everyone is just so tired and ready for a break, not to mention coughs, colds and other sniffles! We don't have any major plans these holidays other than catching some of the new movies coming out (and there are a few on our list! ), and maybe some catch-ups with friends and family. On the crafting front, Erin and I found our way to the Scrapbooking and Papercraft convention over the Queen's birthday long weekend. We were able to cover all that we wanted to in only a few hours. Disappointingly it seems to get smaller each year with less to offer. But aside from that I was still able to come home with a few goodies! Mainly a pile of new washi tape! Funnily enough, next door at the convention centre was the annual book fair, and I think we almost spent more there and had more fun in 45 minutes than the whole time we were at the show! Although Erin and I were very impressed with Jane Devenports drawings, they were wonderful! But I did come away itching to create, so that is the positive! I spent last weekend creating while introducing myself to the series "Breaking Bad" that so many friends have recommended to me. Well I was not disappointed! And it gave me an excuse to just sit and play for a few hours! I haven't managed to do any challenges for a while with committments to classes and other business getting in the way, so I thought I would try and get some done for this month. I managed two challenges last weekend, and hopefully I will get some more done over the holidays. So lets get onto pictures! 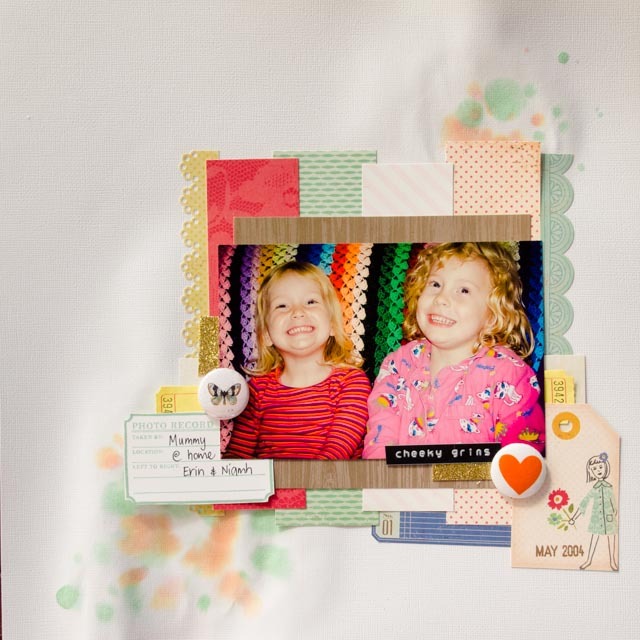 Firstly, here are the Project Life spreads that I mostly completed while on my scrappy retreat a few weeks ago. I still had to finish of journaling and I added a few more photos too. Working by month is really great for me, I have time to do this and the kids absolutely love having a little summary of our monthly activities to look back on! I think I "convinced" a few of the girls at the retreat that this might be a worthwhile venture too! 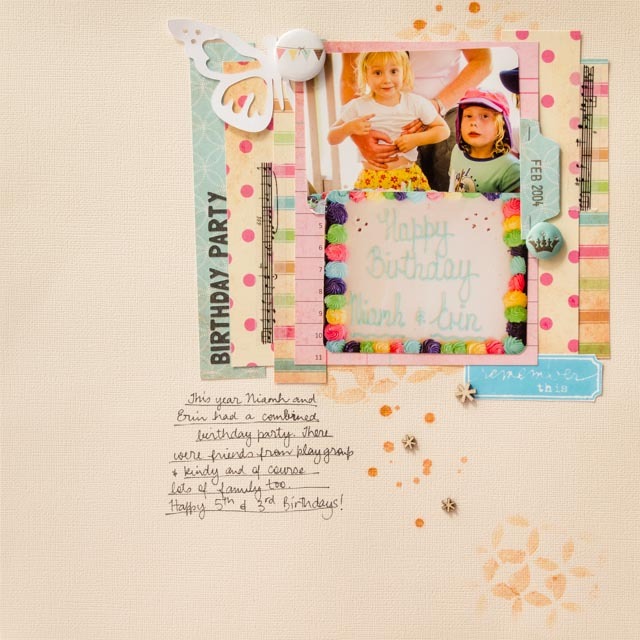 I used Simple Stories Snap and Echo Park Photo Freedom kits for these pages making it really quick and easy to put together. Next up are some pages that I created for the sake of creating! It is really nice to do that sometimes! 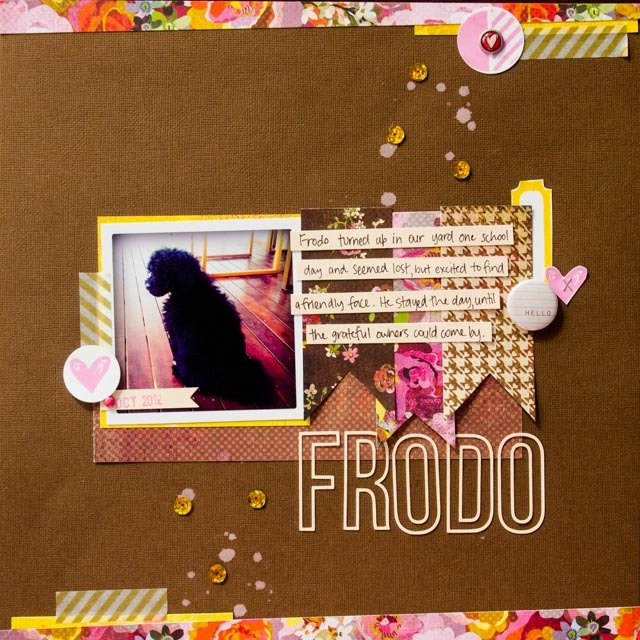 The Frodo page was inspired by one done by Marcy Penner that I have on one of my Pintrest boards, such a good way to collect ideas Pintrest! I am also enjoying scrapping some older photos. I think that might be because my kids won't let me photograph them quite so much any more and they are at school so much so I don't have a captive audience any more!! Oh well, holiday time, I will endeavour to pin them down and take photos!! Again, an older photo! I added in an orange heart button, butterfly flair and yellow ticket that are Purple Pumpkin products. I also had to play with the gorgeous gold glitter washi tape that I recently picked up from D'lish Scraps! Isn't it the best!!! That is also where I picked up the labeller that made the "cheeky grins" label/title. 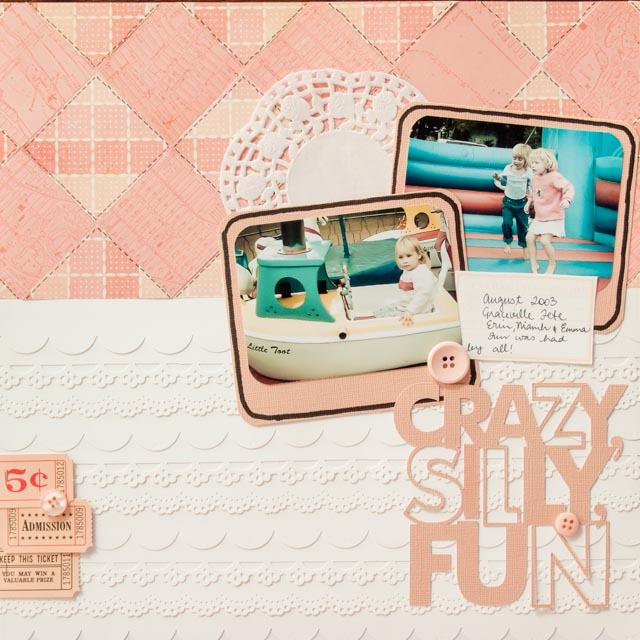 So White With One June criteria was White + Coral + Decorative Edges, and I pulled out some of my border punches, which I admit have not seen the light of day in a little while, and had some fun! I really love how the edges came out, tone on tone, detail without being too busy! And some more older photos. look how little and sweet my girls are! I can't believe how quickly they have grown! Well, that is all from me today. Hopefully I willbe back with some more challenges soon! WOW your WW1 page is stunning...love all the punched details and the title. Thanks for joining in and for sharing your page with us at WW1. Gorgeous work here! thanks so much for playing with our sketch at Purple Pumpkin too!! Wow! You've been productive! These are amazing! Thanks for joining us at Purple Pumpkin. P/s: Would you consider turning off word verification since you already have comment moderation? I have mine turned off and don't have a problem with spam. You will probably get more comments...this is my 3rd try on my mobile! 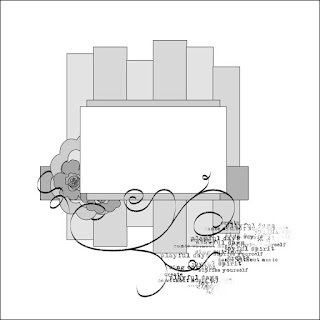 Lovely work. Thanks for playing along with us at Purple Pumpkin this month. love the way you combine coral with blue ! I love everything! I also do project life, but mostly weekly. I adore your take on the sketch for Purple Pumpkin! Thank you for playing along! Wow, you were seriously on a creative roll. LOVE your punching for the layers for the decorative edge element on your WW1. LO.